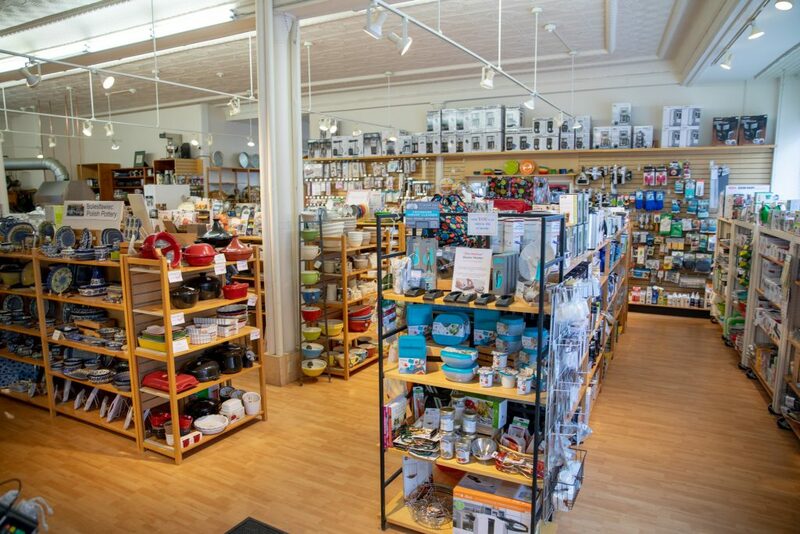 When Mike and Betsy Fear first started thinking about opening a kitchenware store in this historic coastal Maine city, they sat down with the late kitchenware guru Bob Coviello, the founder of the H.T.I. Buying Group, at Coviello’s home in Rochester, N.H. The visit lasted three days, Fear says. The result was a well-merchandised selection of products across the board—wine, cookware, gadgets, kitchen textiles, cutlery, tableware—pretty much everything shoppers could imagine for their kitchens and dining rooms. Over the years, the Fears expanded their original space, adding about 2,000 sq. ft., a cooking school area with a couple of stoves and even more product. The store also has built up its wine department, which Fear says has been very successful and helps bring customers through the door. 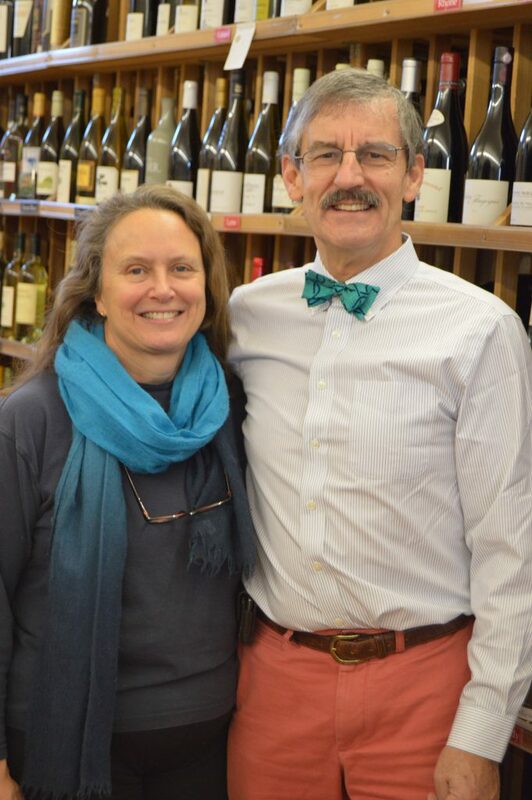 “They drop by to pick up a bottle of wine, and then walk around the store and shop for other things,” he says. Plus, as he points out, not everyone needs another stand mixer, but they run out of wine. Gadgets are also big sellers, sales fueled by an impressive gadget wall featuring products from Oxo and Rosle among other vendors. The coffee department is also booming, with sales of Chemex coffee makers (and filters) a standout. Fear says he likes to take products home and experiment with them in his own kitchen. “I recently made a pressure cooker cheese cake,” he proudly notes. 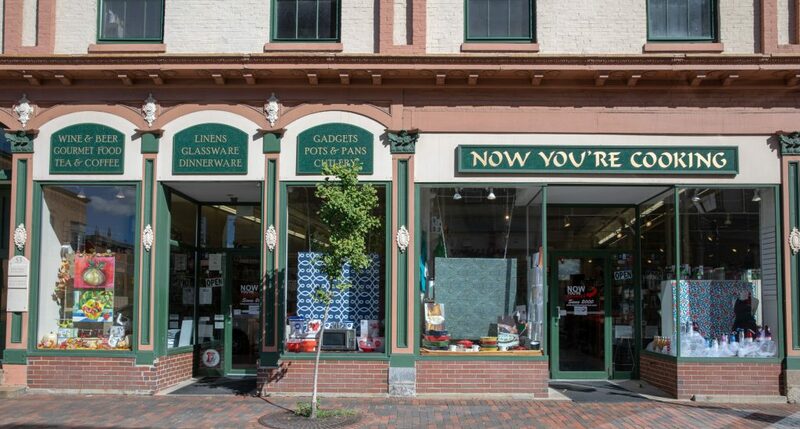 Located on Bath’s Front St., which is pretty much the main drag in this town, the Fear’s store benefits from eight 16-feet high floor-to-ceiling windows, offering plenty of room for displays. 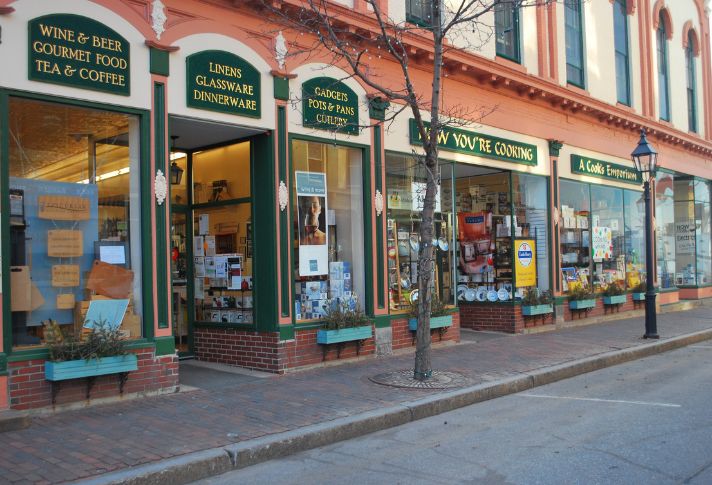 Since most of Bath’s good restaurants and stores are located on Front St., there is plenty of foot traffic and the window displays help lure customers into the store. Fear says the window displays are a key part of the store’s marketing effort, and they keep staffers busy. With so many windows, the store plans display strategies. Having a creative, knowledgeable staff that can pull together window displays, sell wine from the store’s extensive wine department and advise on cookware and cutlery and the rest of the wide-ranging product lines, is key to the store’s success, Fear says. He doesn’t have to worry about hiring in a tight labor market, he says, because most of his dozen employees have been with him for years. In fact, five staffers have been with the store for 13 to 18 years.